In total, the district stands to pay Hal at least $267,400 for not working for six months. Former OUSD Senior Business Officer Vernon Hal. 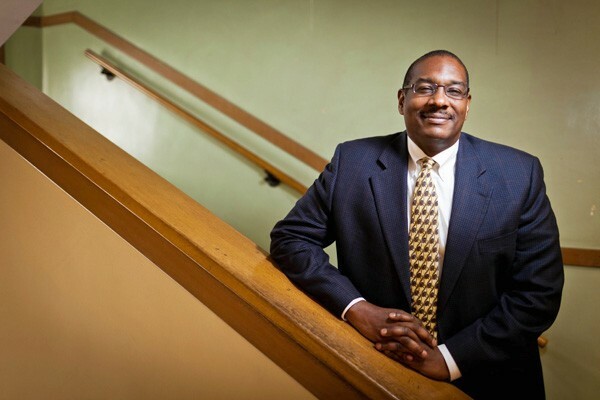 Oakland Unified School District senior business officer Vernon Hal stepped down from his post last February amid a multimillion-dollar budget crisis that forced mid-year cuts and layoffs across the school system. While the district’s superintendent and board of directors didn’t blame Hal for these financial problems, many parents and teachers did. And a recent state report and Alameda County Grand Jury investigation also both identified “highly questionable” fiscal practices at the district that were undertaken while Hal was in charge. But despite having left the district in a condition of fiscal distress five months ago, Hal is still being paid, according to public records obtained by the Express. Since January, the district has been paying Hal $19,100 per month, plus all of the health and welfare benefits he was receiving while he was an employee. Furthermore, in July, the district is obligated to pay Hal a lump sum of $152,000. And through the end of this month, he’s also accruing vacation days, which the district will have to buy back from him by January 2019 at the latest. In total, the district stands to pay Hal at least $267,400 for not working for six months, or about six times more than a starting teacher makes in an entire year. After the end of this month, the district is no longer obligated to pay Hal his salary. This substantial severance package is the result of OUSD’s original employment contract with Hal. That deal required that, unless he was terminated for cause, the district would have to pay him a minimum of six months of his normal salary. The employment agreement was originally signed in August 2014, and in 2016 the school board extended these terms until June 30, 2019 while also raising Hal’s salary to $209,000 per year. Had the district terminated Hal’s employment for cause, he would receive none of this extra pay. According to his employment contract, Hal’s responsibilities included “ensuring fiscal solvency and establishing robust prioritization process to ensure adequate and sustainable funding for District priorities.” But the separation agreement that Hal signed in February didn’t assign him any responsibility for the district’s poor financial condition or otherwise find that he violated the requirements of his employment contract. Two independently conducted investigations have found evidence of purposeful manipulation of OUSD’s financial systems, however. In May, the state Fiscal Crisis and Management Assistance Team (FCMAT) examined OUSD’s budget practices and found that under Hal’s leadership the district’s finances were trending in a “not sustainable” direction, and specifically that OUSD is in “fiscal distress” due to “intentional manipulation” of the general fund balance in order to make it appear that the system had more cash on hand than it really did. FCMAT’s team called these practices “highly unusual” and “suspicious,” and called for further investigation. The Alameda County Grand Jury conducted its own investigation of OUSD’s finances and released its findings yesterday. The Grand Jury concluded that under Hal’s oversight, OUSD departments were able to hire for positions that weren’t budgeted, major errors in projecting enrollment led to deficits of several million dollars, and the district also improperly underfunded its self-insurance by as much as $30 million. OUSD’s general counsel Marion McWilliams didn’t respond to an email from the Express seeking more information about Hal’s potential legal claims against the district. But the agreement states plainly that Hal threatened possible legal action against OUSD if he were to be fired, and the district determined it was in its best interest to sign the $267,400 separation agreement.